Colleen McElligott is development director of the Bulletin of the Atomic Scientists. She has stewarded complex advancement divisions at educational institutions and at social service and arts organizations in the Chicago area. Her nonprofit fundraising and management experience includes service as the Vice President of Development at the Chicago Architecture Foundation, Senior Director of Development & Gift Planning at Dominican University, Chief Advancement Officer at SOS Children’s Villages – Illinois, Director of Advancement at the Union League Boys and Girls Clubs and as a principal at the CAM Group, a nonprofit consulting firm. McElligott earned a BA in art history at Boston University, a Certificate in Mediation at Dominican University and is currently completing a Masters in Conflict Resolution at Dominican University. 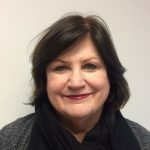 She is a member of the Association of Fundraising Professionals, the Chicago Council on Planned Giving and The Association of Consultants to Nonprofits. She has been with the Bulletin since February of 2017.